One of our favourite publishers Bluemoose Books have had some exciting news recently. 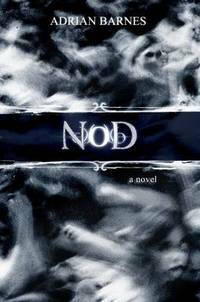 Nod by Adrian Barnes has been shortlisted for the Arthur C Clarke Award 2013, which awards the best Science Fiction Novel of the year. Adrian is a Canadian writer and is only visiting the UK briefly to attend the awards next Wednesday, where the winner will be announced. He is only carrying out one book sigining while in the country and he is doing it in Leeds! Adrian will be at Waterstones on Albion Street from 12 – 2pm on Monday 29th April to sign copies of his book. You can also borrow Nod from Leeds Libraries. This entry was posted in Books and tagged Awards, Fiction, Sci Fi. Bookmark the permalink.